Like the US, Canada is large country, spanning more than 9,000 kilometres from east to west – by comparison, Australia is almost 4,000 kilometres wide. As such it also offers a wide variety of activities for tourists, from its vibrant cities that mostly hug the US border, to spectacular natural wilderness in the north. And those looking for a bit of adventure will be happy to learn you don’t have to travel to the Northwest Territories, there’s plenty of adventure to be found in and around Niagara too. Though an outing on the Maid of the Mist will be out of the question unless you have made advance arrangements for a trip into the US. Do Australians need a visa for Canada? Australian's visiting Canada directly, for any purpose - including tourism, business, or to study - need to have an Electronic Travel Authorization (eTA), which can be applied for online. If you are entering Canada through the US - including transiting via Honolulu or other US points of entry, you will need have met US entry/transit requirements, but you should confirm this with an Embassy or Consulate of the United States ahead of your travel. Australian residents with a criminal record, including a conviction for drink-driving, could be denied entry. Check with the Consulate of Canada before applying for an eTA. What do I need to travel from Canada to the USA? If you are visiting Canada for any reason and wish to cross over into the US – even for a daytrip – you will need to meet the standard US entry/transit requirements. You would need to have applied for and been issued with a visa or Electronic System for Travel Authorization (ESTA) for the US before departing for Canada, otherwise you will be denied entry. Is Canada part of the Commonwealth? As a former colony of Britain, Canada is still a member state of the Commonwealth of Nations, but remains an independent nation. The Commonwealth of Nations is an independent organisation – or political association – rather than a political union. Do I need an international driver's license in Canada? Australian visitors can legally drive in Canada for up to year, but must have an International Driver's Permit (IDP) and a valid Australian driver's licence. You must have your IDP and Australian driver's licence with you whenever you are driving, and you will need to apply for your IDP while still in Australia. If you will be in Canada for more than a year, you will need to apply for a local driver's licence. The roads in Canada can be quite treacherous in winter, and if you are visiting during the winter months you should ensure the car you will be driving has been fitted with snow tyres. You should also check the weather conditions before embarking on a long drive, and have extra water, food, and blankets with you, in case you end up stranded by heavy snow. It would also be wise to have travel insurance which includes a rental car excess benefit, which could save you a lot of money in the event of you being involved in accident. What is the weather like in Canada in June? 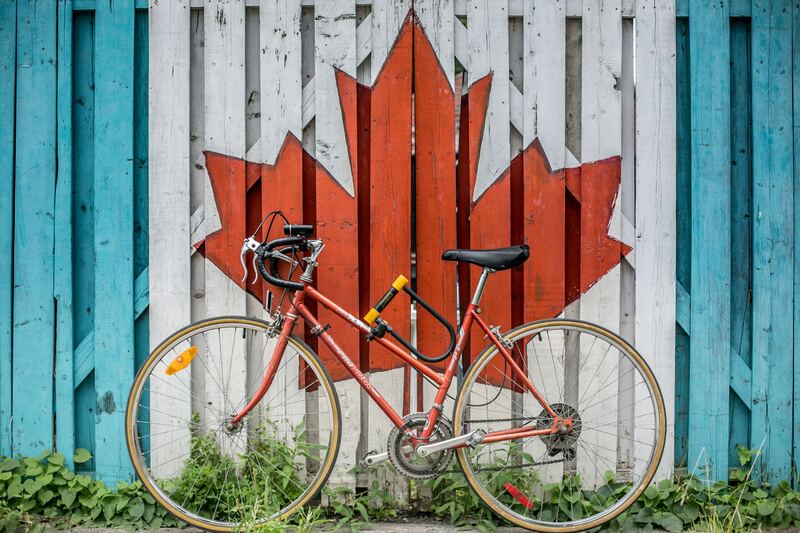 Canadian summer lasts from June through to August, though the weather in June can still be quite mild, with daytime temperatures varying from the high-teens into the mid-twenties, depending on what part of Canada you are. However, since peak tourist season is July and August, you will find accommodation to be a little cheaper, and the attractions a little less crowded. Is it safe to travel to Canada? Canada is a fairly safe country to visit and travel through, even for women travelling alone. Canada’s crime rate is very similar to that of Australia, so you should exercise the same amount of caution you would at home, which includes not leaving valuable items unattended. There have been some isolated terrorist related attacks, along with some mass shootings. Be alert of your surroundings, and if you use international roaming on your mobile phone, or use a local SIM while in Canada, you might be able to receive emergency alerts relevant to the area you are in. Having travel insurance will also ensure you are covered for medical treatment for illnesses and injuries, along with a host of other benefits.